Got an issue with your vehicle? 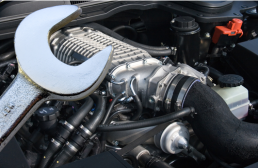 We offer a repair inspection service to get to the bottom of your vehicles faults. Using the latest diagnostic equipment and highly experienced technicians, we ensure any faults are found, and your vehicle is back up and running as quickly as possible. Although we do charge an investigation fee for any complicated faults & inspections, we will inform you of the faults and associated costs, and agree on any work before the repair is made. We're happy to receive cars by recovery services and provide free insured, already fuelled modern courtesy cars to keep you on the move, stress and hassle free. We offer a warranty promise on all of our work and parts, for more info on this, please click here. There is job too big or too small for our experienced staff so please don't hesitate to get in touch. For details on our investigation & repair costs please see our prices page. Need advice? Feel free to pop us over a call on 01235 818933 or email office@djmatthews.co.uk and one of our friendly staff will be happy to help. 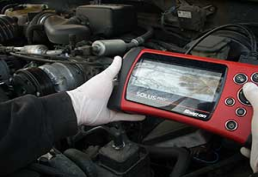 Using state of the art diagnostic equipment, and highly skilled technicians, we can ensure your vehicles faults are diagnosed quickly, and a plan put in place for the repairs to be carried out. 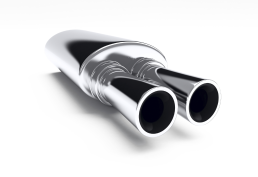 We offer repairs and checks on any type of battery or exhaust system. We keep a good range of batteries in stock, enabling us to get you back on the road quickly and easily. Want your air conditioning in full working order, ready for the summer? 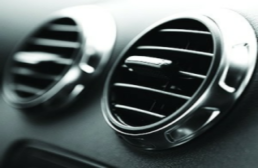 We offer one of the most competitive prices around on all of our air con re gas options, with all repairs done on site. We offer a variety of repairs, and never turn down any repair challenge (there is no job too big or too small). Boasting 5 experienced technicians, we have a wealth of experience for any repair problem. D J Matthews, is a long established motor vehicle MOT, Service & Repair Centre. Run as an independent family business, we provide friendly, reliable and competitively priced high quality car and van servicing, MOTs and repairs to Didcot, Abingdon and the surrounding areas of Oxfordshire. We pride ourselves on our 40 plus years of history in the industry (established since 1974). Over this time we have built fantastic customer relationships, all who really appreciate our work, and continue to return due to the honest reliable services we provide along with our very competitive prices.